In General, compost maintenance depends on the type of compost method you are implementing. If you are using the laid-back approach, then turning of the compost is not required. On the other hand, if you want to speed up the decomposition process then actively turning your compost is in order. Keep in mind that turning the compost takes a lot of effort and time. 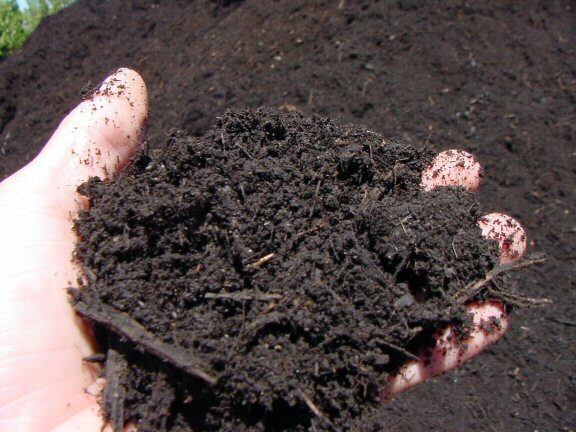 Turning – Turning your compost pile adds oxygen and speeds up the decomposition process. Be careful, turning your compost too often hinders the population of microorganisms and prevents the compost from heating to required temperatures. The rule of thumb is to turn the compost one time a month. I don't bother turning my compost. It's too much of a hassle. I prefer to let it bake all year long and add materials on top throughout the year. If you do it this way, use the previous year's compost on the current year's organic garden. If you do decide to turn your compost, remember to design your compost structure so that you are able to take the oldest from the bottom. Watering – Your compost is like a living dynamic organism, and this organism needs moisture to develop. Moisture is very important for compost, but not saturation. Treat your compost just as if it were a new bed of seedlings - and like seedlings, never let the compost dry out. Well-managed compost will not smell. On the other hand, foul odors can increase when your compost is too wet. In the case of heavy rains, protect with a black plastic tarp to prevent saturation and nutrients from leaching out and away. If you do start to smell the compost, cover the top with a one inch layer of soil or peat. Adding soil is a great way to add more microorganisms to your compost.